drivingandlife: BETTER FUEL ECONOMY? JUST ADD WATER! 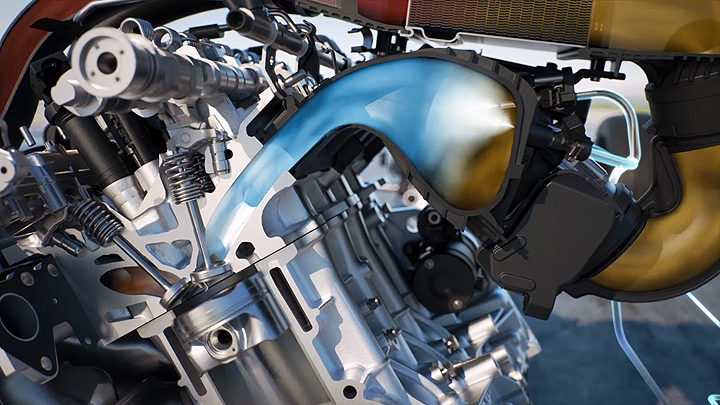 Bosch has developed a commercial application using water injection to improve fuel economy of high-performance, turbocharged engines. The company calls the technology 'WATERBOOST'. “With our water injection, we show that the combustion engine still has some tricks up its sleeve,” says Dr. Rolf Bulander, chairman of the Bosch Mobility Solutions. The fuel economy increase offered by this Bosch technology comes especially to the fore in three- and four-cylinder downsized engines: in other words, in precisely the kind of engines to be found under the hood of any average midsize car. In fact water injection is not a new idea. It was 'invented' in Germany during WW2.The basis of this innovative engine technology is a simple fact: an engine must not be allowed to overheat. Today, to stop this happening, additional fuel is injected into nearly every gasoline engine on today’s roads. This fuel evaporates, cooling parts of the engine block. 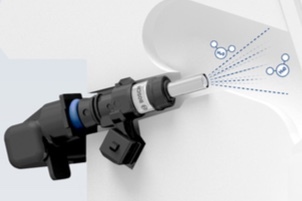 With water injection, Bosch engineers have exploited this physical principle. Before the fuel ignites, a fine mist of water is injected into the intake duct. Water’s high heat of vaporization means that it provides effective cooling. This is the reason only a small amount of water is needed. For every 100km driven, only a few hundred millimetres are necessary. The water tank only needs refilling every few thousand kilometres, and should it run dry, no damage is done. The engine will still run smoothly, albeit without the boost to performance and lower consumption. The technology is already in use in BMW's M4 coupe. It can not only boost power and torque, but also bring fuel economy savings of up to 13%.